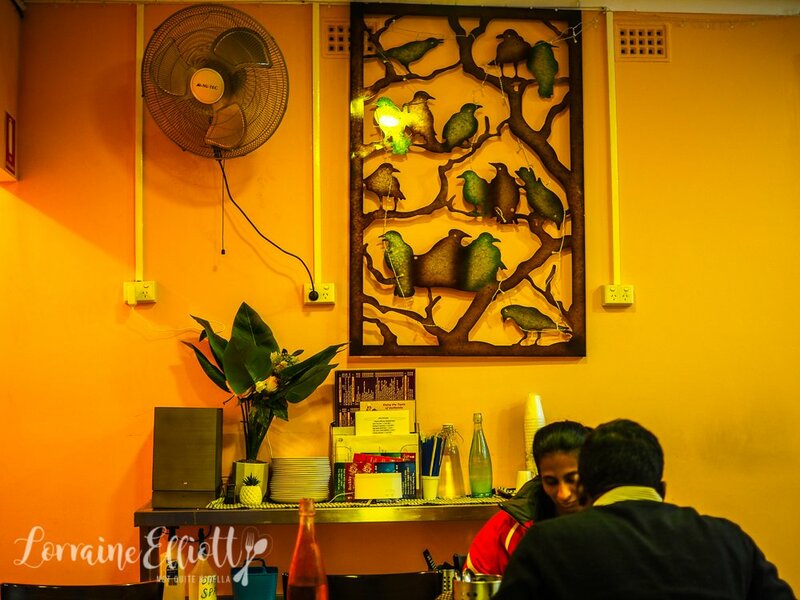 It's time for a little adventure out west to Toongabbie and Pendle Hill to visit Sydney's little Sri Lanka. 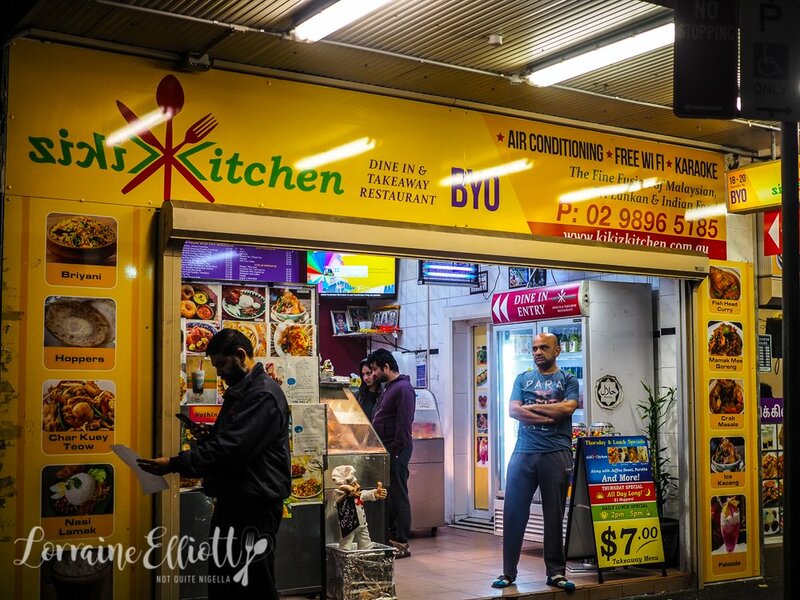 Here you'll find a delicious array of dishes, hoppers, roti as well as a surprising mix with Malaysian food (go figure), friendly service and just a rollicking good time! The song "Heaven is a Place on Earth" plays us into Toongabbie. I am in the car with my sometime vegetarian friend Laura. At 5pm she picked me up from my place and we drove across Sydney. 55 minutes and an ungodly number of 80's love songs later we have arrived at Toongabbie where people are busy making the rush hour dash home from work. 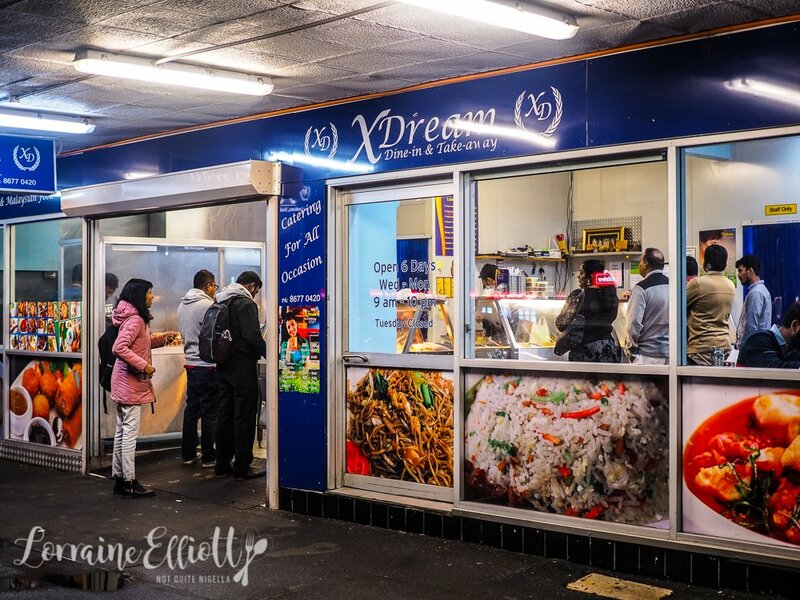 Our first stop is X Dreams, based purely on two reasons: the name for starters but also that Laura had been told that it has Sydney's best Sri Lankan food. "Is it a jewellery store?" we ask as we drive past it. 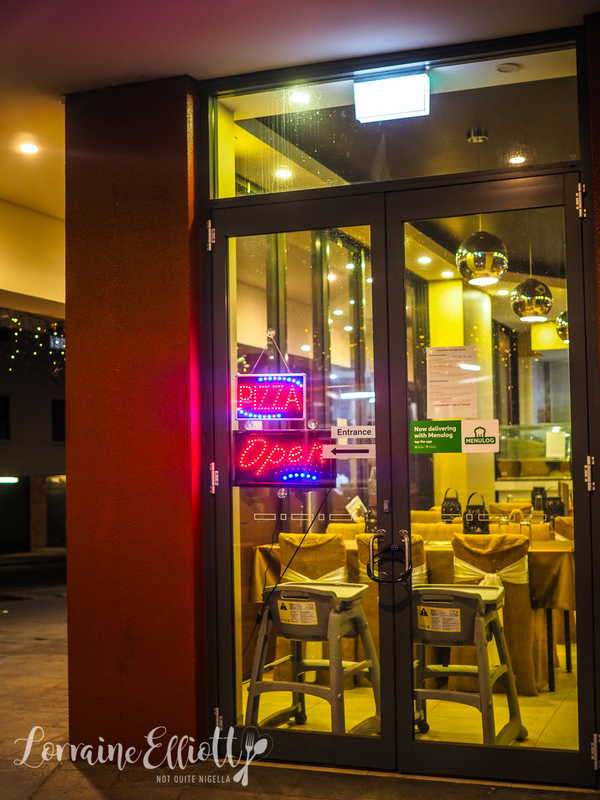 The owners of X Dreams own a jewellery store as well as the eatery next door. It's very busy here and we are the only non Sri Lankan patrons which is the sort of thing that confirms that the food is authentic and good. 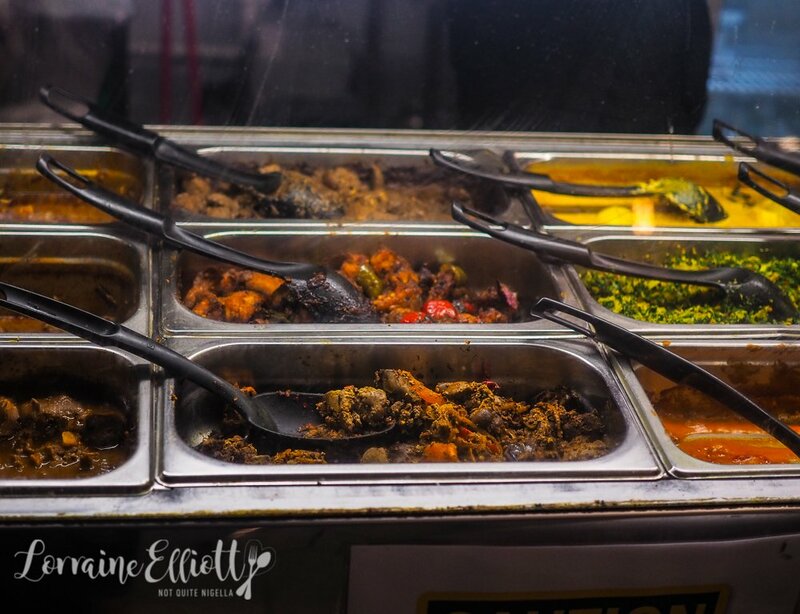 The man behind the counter is super friendly and when we ask him for recommendations he puts together a delicious tray full of goodies for us including goat curry to pepper chicken. 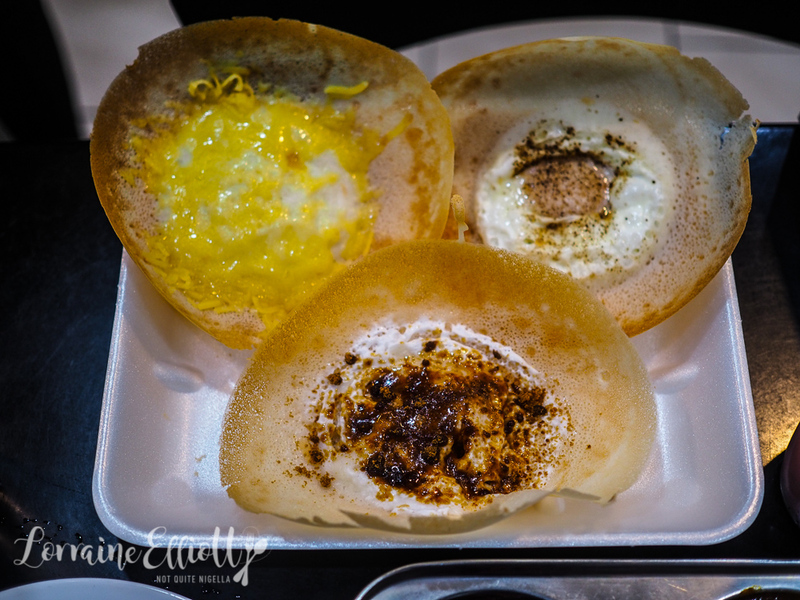 We hear the clang of the pans when they make kotthu rotti (chopped roti) in the background and we order some hoppers to add to our order as well as a sweet rose drink. We bring our tray to our table situated next to the spare tissue boxes, tomato sauce (odd! ), salt, pepper and cutlery. "It's banging," says Laura and I agree. The pepper chicken is delicious, the goat curry aromatic in cardamom and the rice is plentiful. And the deep fried lamb and vegetable roll are so addictively crunchy that I find it hard to stop at just a few bites. The beetroot curry is also wonderful. The only thing we don't really love is the fried chicken as it is dry. We also really fall for the hoppers. 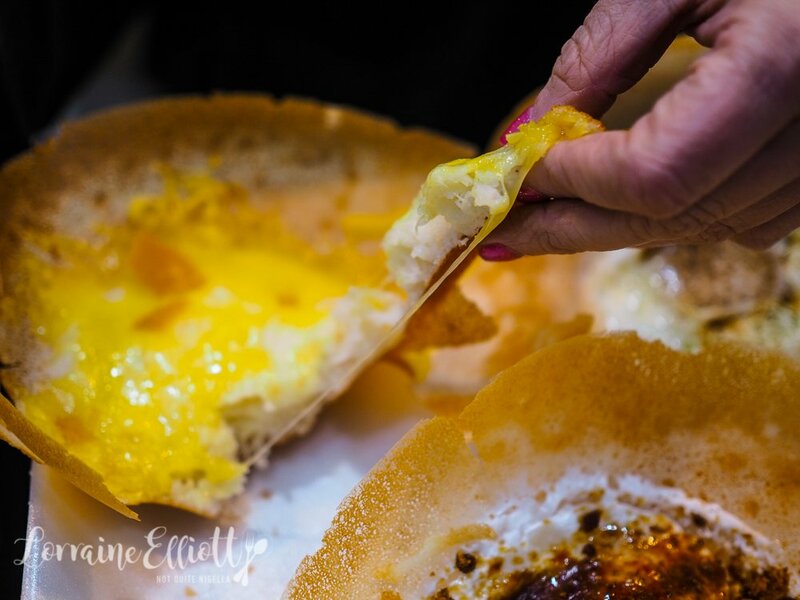 We have an egg hopper which is spongey and thick in the centre with a beautifully crispy edge and the cheese hopper has that added layer of cheese that delights us so. And then the piece de resistance is the milk hopper with coconut milk and jaggery sugar. The guy had warned us that once we tried one we'd want another and he's quite right. Heaven is a place on earth indeed eating one of these. Right next door to X dreams is Amma's or Kikiz. Amma is the mother and Kikiz is the daughter and they're in the process of transitioning the business over which is why they have both signs. 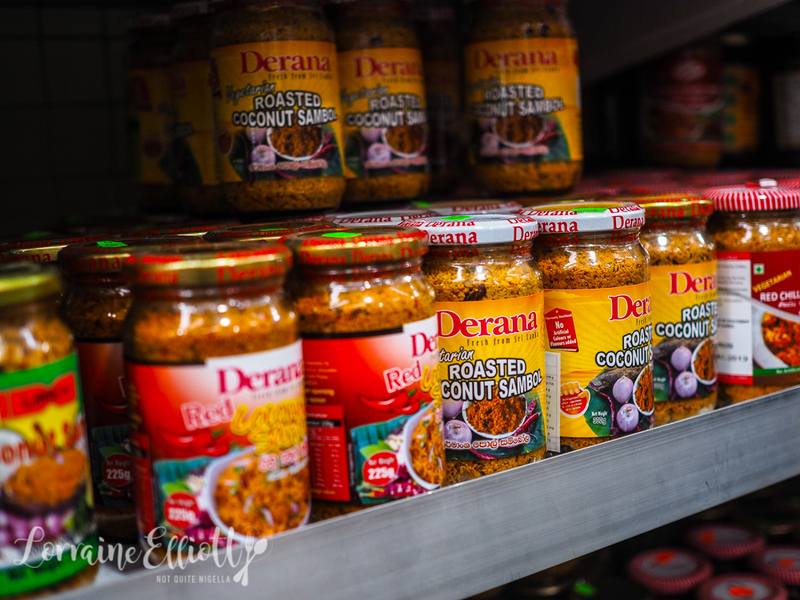 The pictures signal a mix of Sri Lankan and Malaysian goodies like Char Kway Teow and Nasi Lemak. 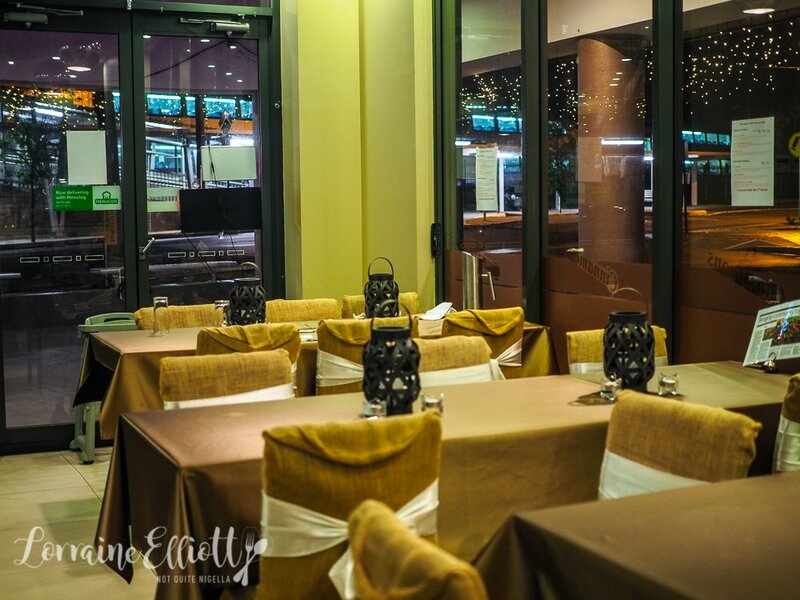 We take a seat inside the restaurant and are offered several menus. Its hard to choose but we start with a delicious milk tea with ginger ($4) and go with their specialties: a crab curry as well as a more Malaysian offering of fish head curry with paratha. The Sri Lankan couple next to us are curious about our ordering style. For their part they're ordering nasi goreng. And here the sound of the kotthu or chopped roti is like a musical rhythm. "It's food music-it's fusic!" exclaims Laura. 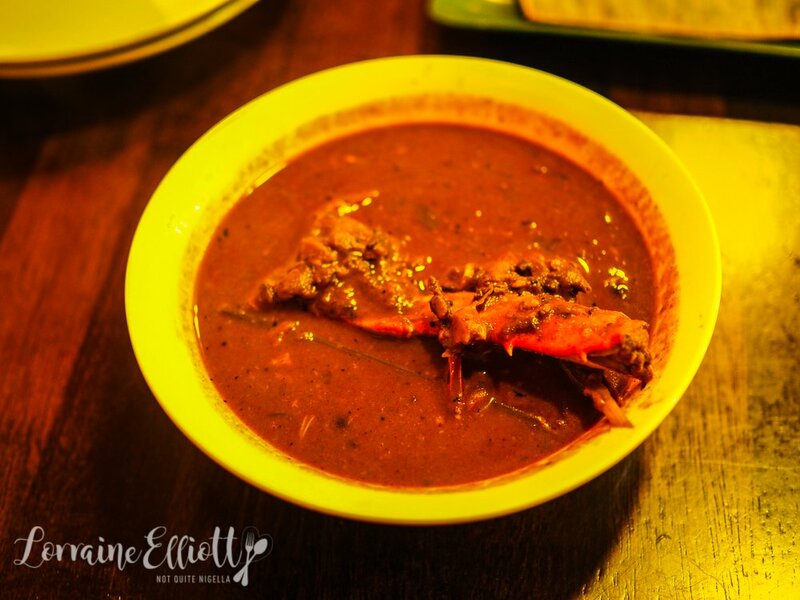 The crab masala curry arrives and it is very pungent in aroma. While it smells fierce the flavour is actually really good, it's a dark curry full of spices. 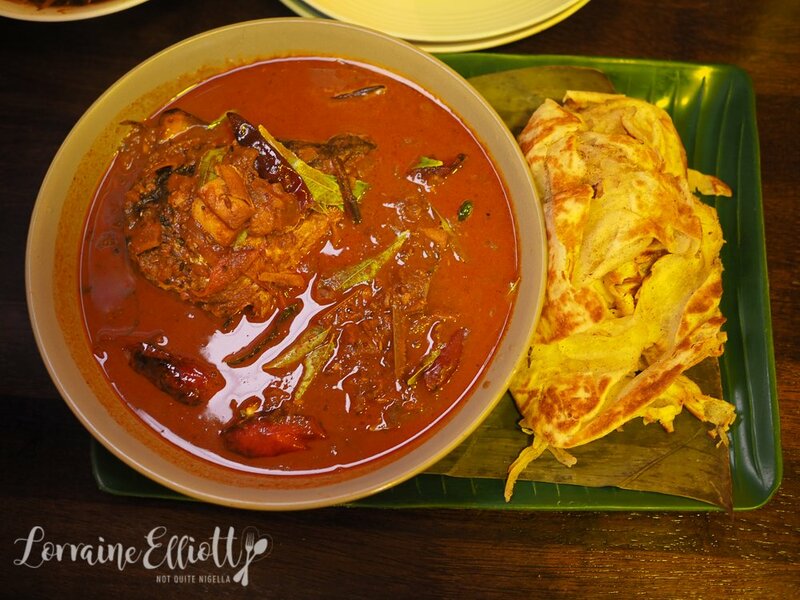 The fish head curry arrives, also a pungent curry and we dip the roti into both curries, the crab curry being the favourite of the two. 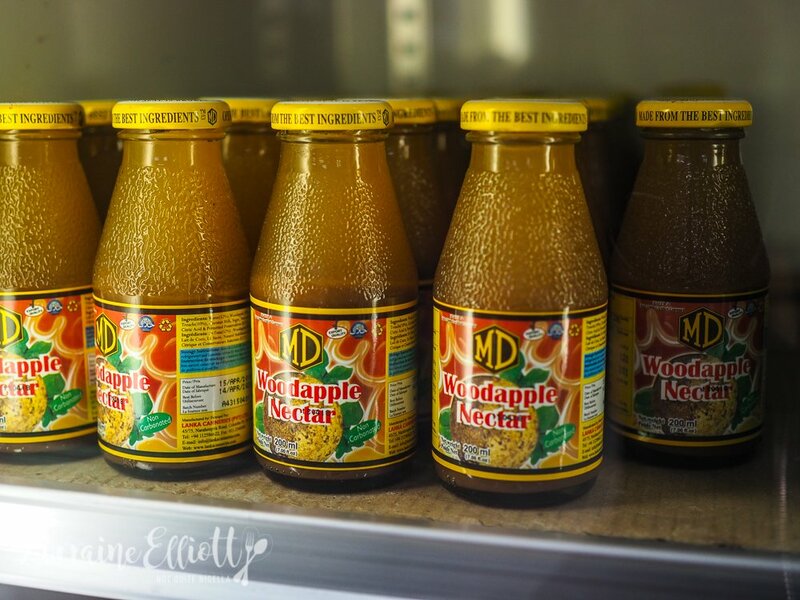 We take a short stop at the grocery store to explore things-I am curious about a wood apple drink and I buy some masala flavoured Lays chips. Then it's over to Dish which is just around the corner. 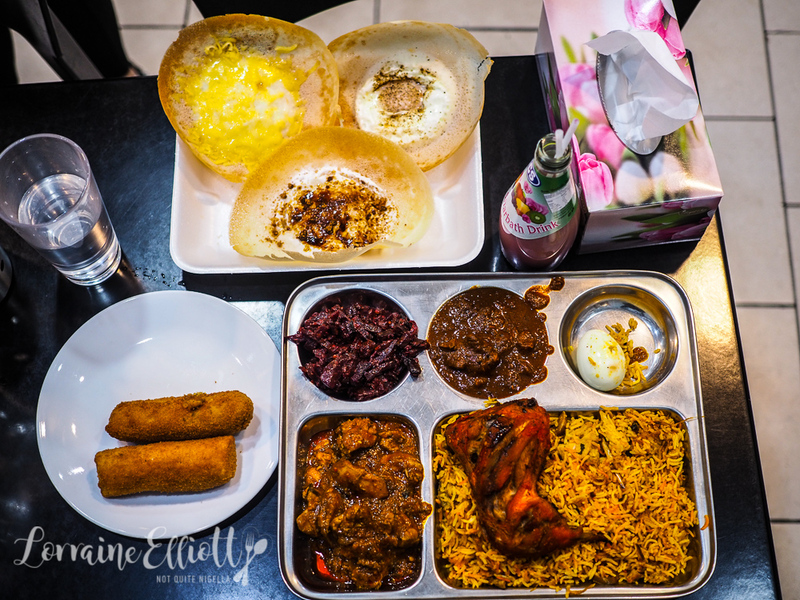 There is also a Dish at Glebe and chef Manjula Fernando first started here in Toongabbie testing out the ground before opening up in Glebe this year. 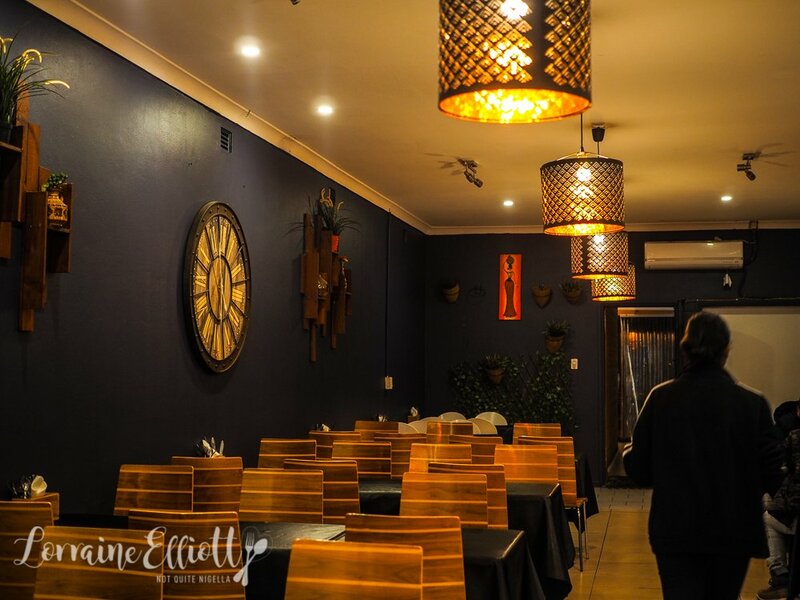 The menu is shorter here in Toongabbie and there are also bain maries where you can get takeaway. 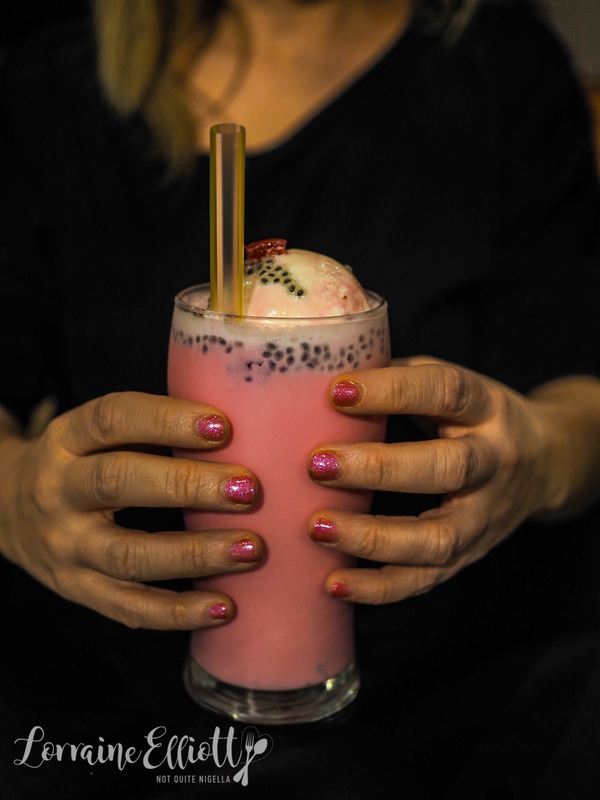 We order a Sri Lankan Faluda rose flavoured shake with ice cream drink with sago pearls at the bottom and it's sweet and delicious but not overpoweringly so. It is quieter here with two tables occupied. 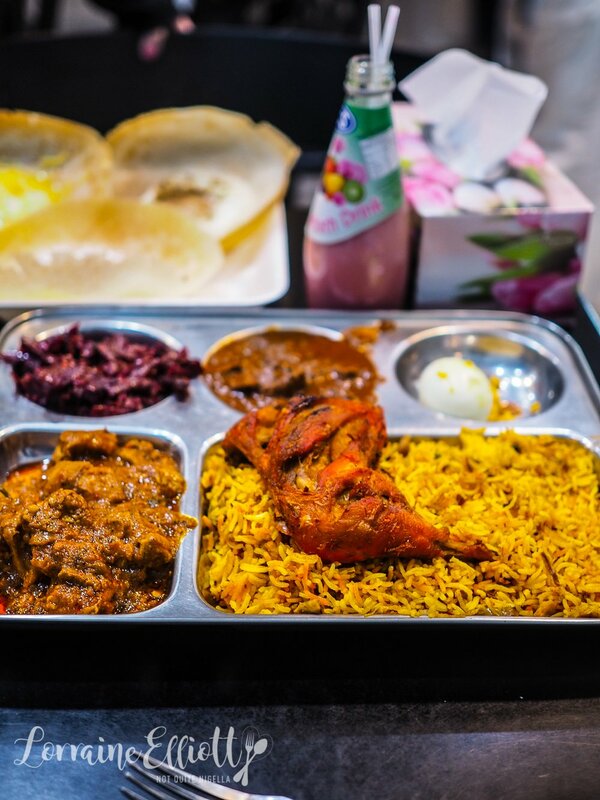 Our tray arrives and there's glistening yellow rice as well as a rich spiced pork curry. There are three vegetables that come along with it and we adore the kale salad. The jackfruit that we'd read about wasn't very exciting but the potato curry was creamy and tasty. 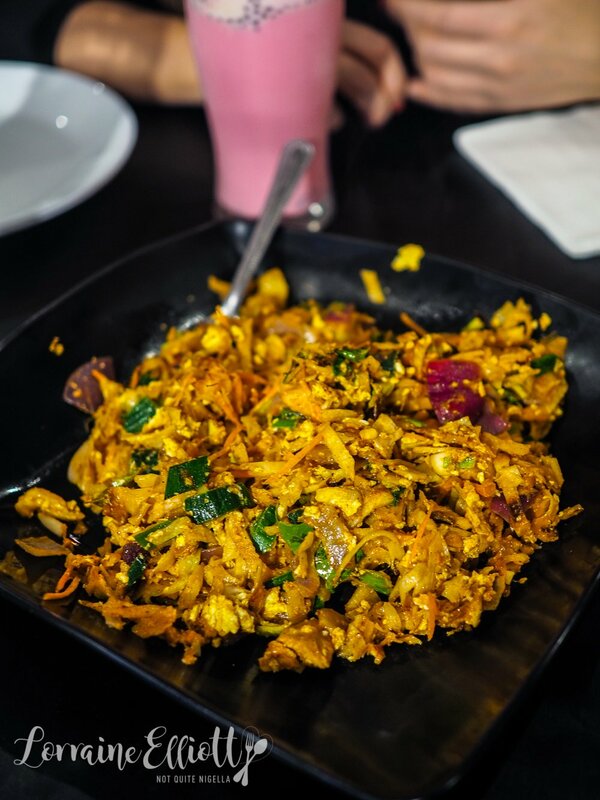 And we also enjoy the Kotthy or chopped roti that reminds us of stir fried noodles. The Wattalapam that I had so enjoyed at Lankan Filling Station is different here. Here it is more a syrup cake whereas there it was more a pudding which I preferred. When we walk around the corner we see that Mathura's is closed (they're said to make a killer dosa) so we head across the other side of the railway station to one of the more unusual restaurants. 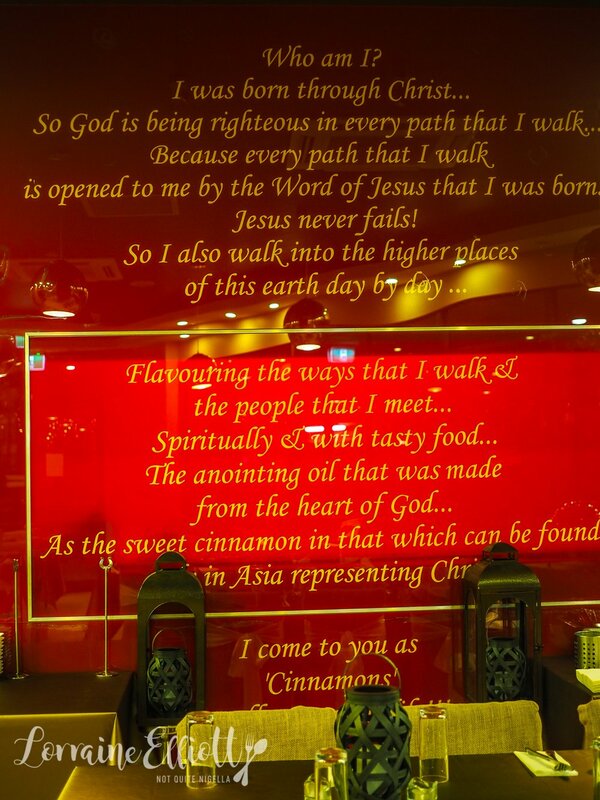 Cinnamon's is a not for profit restaurant that sort of looks like it is decorated like a wedding venue. 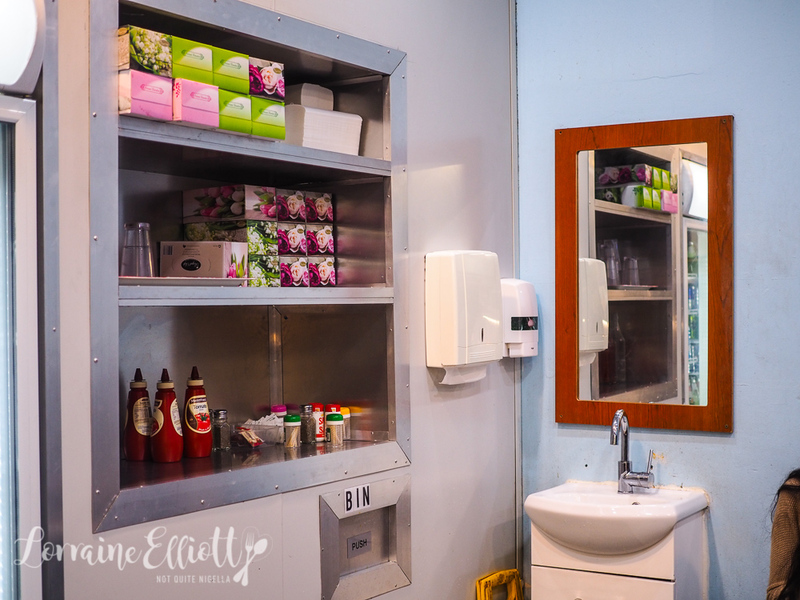 The couple that own it are religious and it is staffed by them and volunteers and there is a large glossy red statement wall with their mission statement on it. There is one other table dining and inexplicably along with Sri Lankan food there is pizza (with neon flashing sign), bruschetta, nachos and a dish called "Tentacles" aka fried frankfurts on the menu as well as Sri Lankan food. Prices are also higher here than at other places with most dishes at $27.90. They recommend a "Cinnamon's Special" and a "Mixed Fried Rice" which comes with your choice of a meat dish. We hear the clanking of the pots against the strains of wedding tunes and we're both wondering whether we can make it to any other places as it is just after 9pm on a Wednesday night. Before long our dishes arrive and they're absolutely enormous. The mixed rice is like a fried rice with some extra spices and Chinese chilli paste-it's very good and there's no way we can finish it. The devilled chicken that it comes with is like a Sri Lankan sweet and sour chicken that is juicy, peppery and moreish (spoiler alert: I ate all the chicken in this as Laura couldn't as she could smell capsicum and she's allergic). There is also a pineapple and cabbage salad to the side. The cinnamon special however is our favourite. 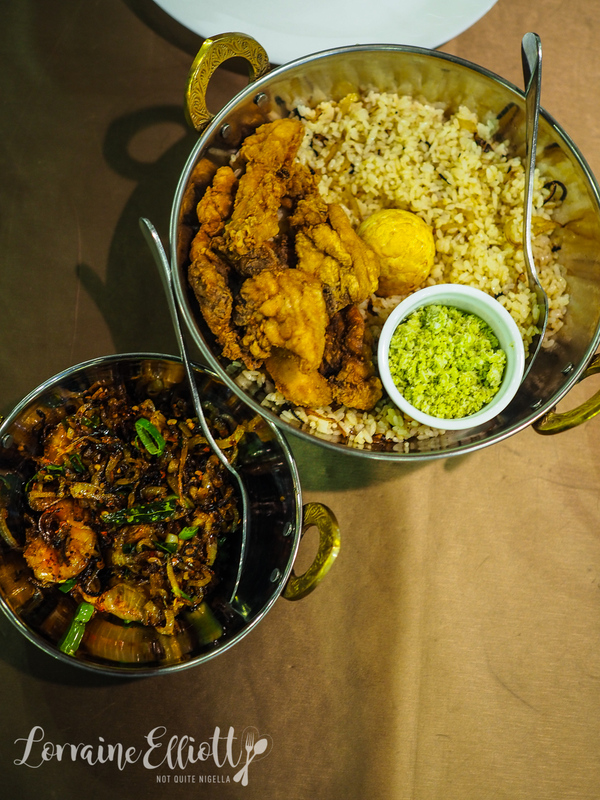 It's a gorgeous yellow rice cooked in stock with a battered boiled egg, devilled prawns, fried chicken strips and a delightful green chilli sambol on the side. 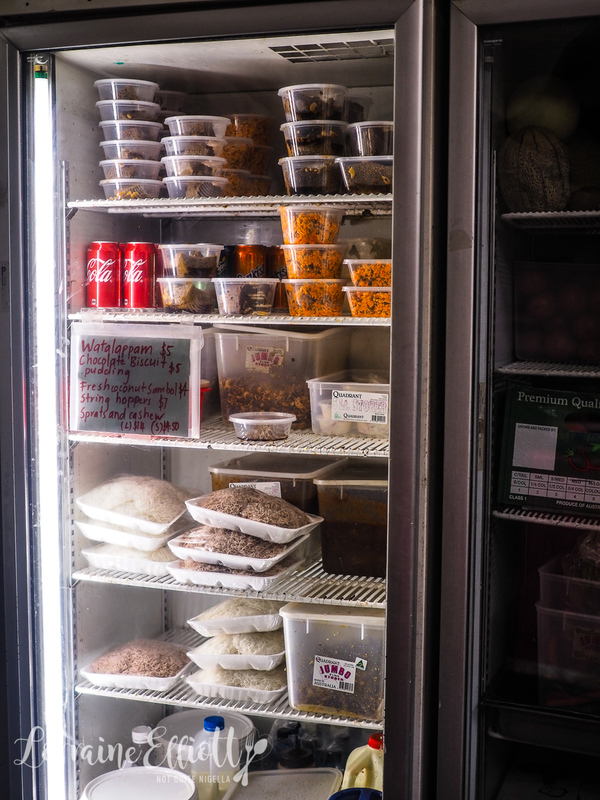 When we ask for takeaway containers (we hate wasting food) they look at how much we've eaten or not eaten as the case may be, and think that we are crazy (that's ok, we're used to it). And with that we high tail it to Pendle Hill for our final stop. Alas the sweets shop in Pendle Hill looks to be closed although it was supposed to be open. 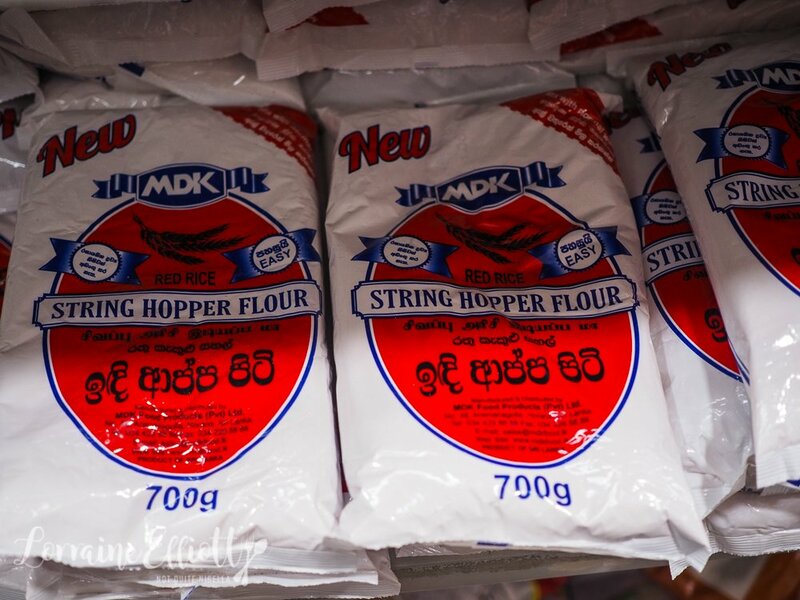 We console ourselves with a stop at a takeaway shop to buy an Indian cashew burfi and rasgulla milk ball and pop into a grocery store where we buy some Sri Lankan sweets (semolina cookies and sesame balls) as snacks for the road. We get into Laura's Mini Cooper and snack on these, slightly dejected at anticlimax for our last stop. 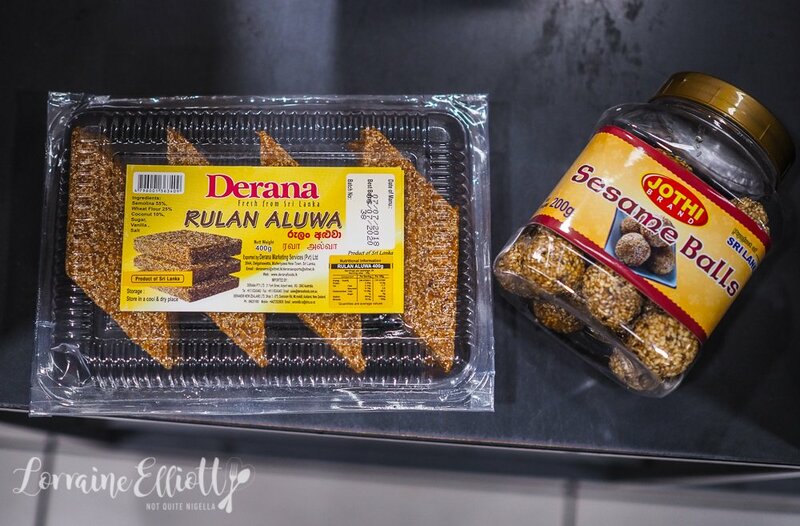 The sesame ball is rock hard but tasty, the Rulan Aluwa semolina sweet is grainy and reminds me of a less sweet sesame snap. 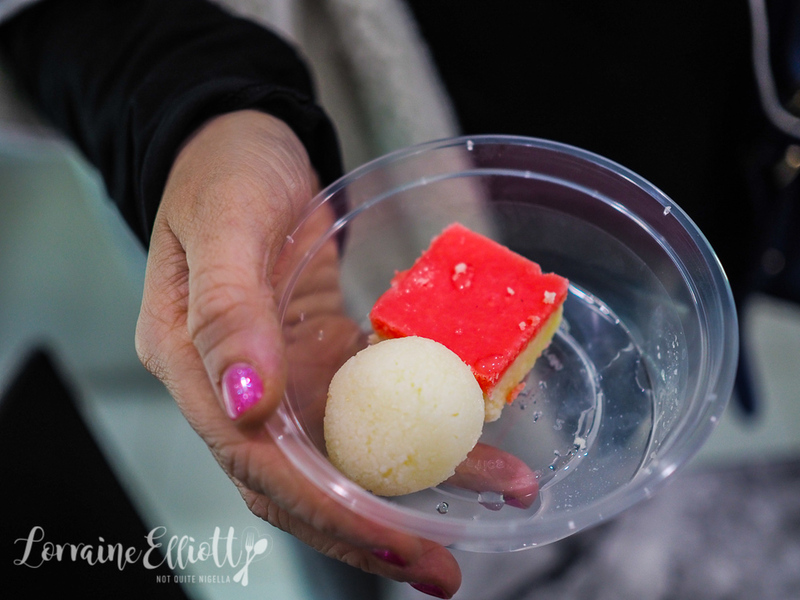 The rasgulla is sweet and wet in texture while the burfi is dry. We pop on 80's hit Gloria and make our way back towards home. We drive past the station and then Laura spots a place that is open. Doing a quick u-turn we dash out of the car determined to catch them before they close. 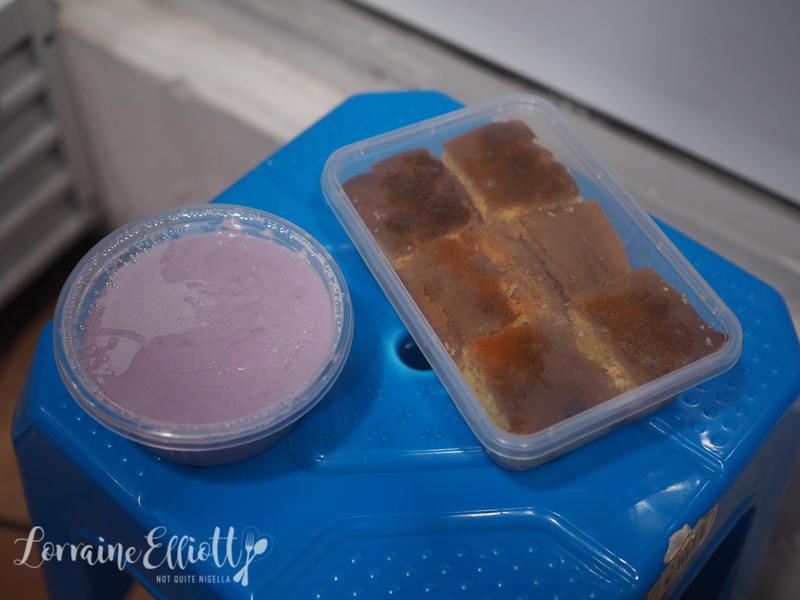 The first shop "ten to ten" sells a yam pudding and a Sri Lankan butter cake so we buy both for $10. 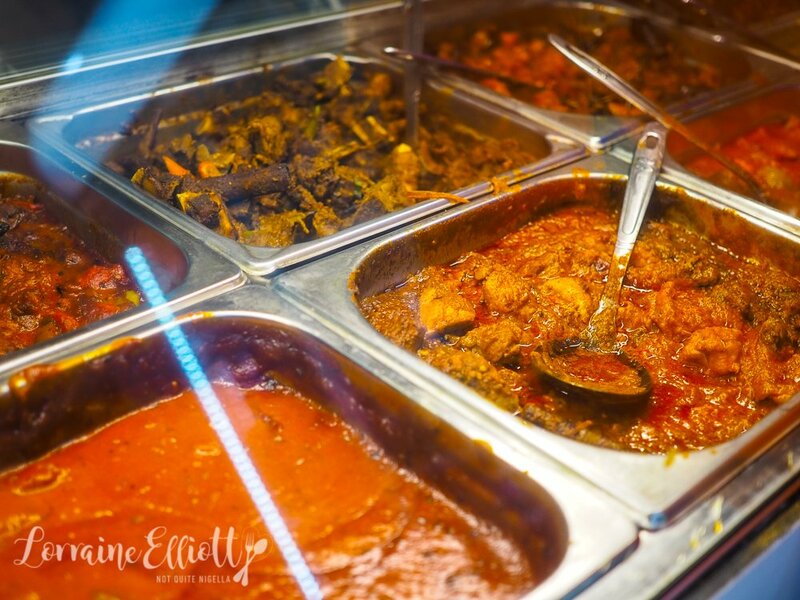 Then stop a few doors down at Flavours of Ceylon where they are still open and cooking. There's a stand that looks like the kind you might find on a tropical beach, except it's in the front room of a takeaway place. They make some recommendations but they're all rice based and we groan slightly, "We've eaten a lot of rice tonight" we explain, although we probably don't make a lot of sense. "How about a string hopper biryani?" he says. We tell him again that we don't feel like rice but he explains that there is no rice, they use hoppers. "Oooh!!" 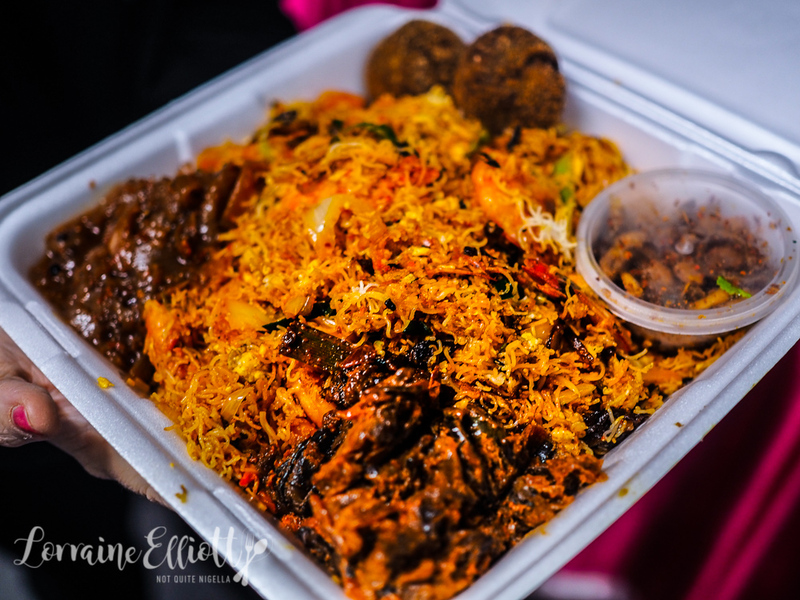 we exclaim excitedly and an order is placed for the string hopper biryani. As we wait Laura lies down on the chairs, "I need a moment," she says as it is nearing 10:30pm and we've been eating for 4 and a half hours. Then she cracks open the yam pudding and butter cake. 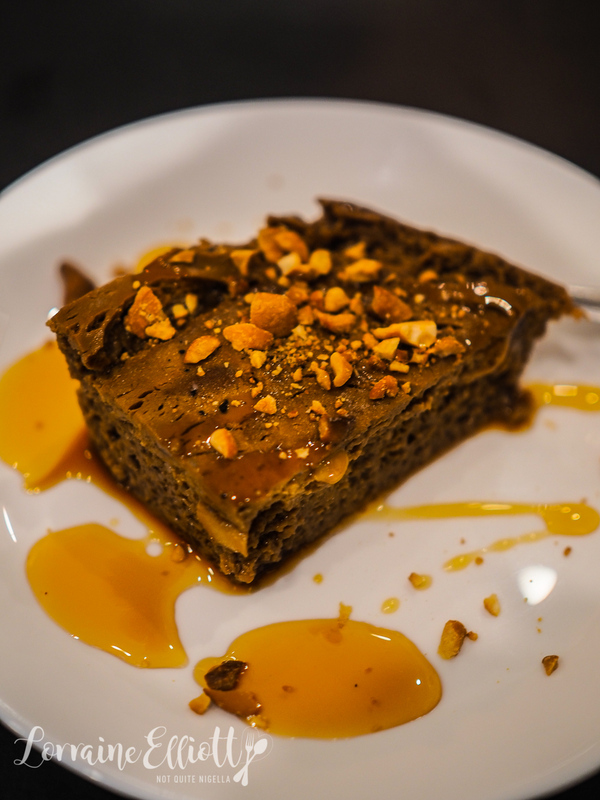 The yam pudding is comforting and familiar and slightly sweet but not overly so. And the butter cake is pretty much like any sort of butter cake but it's a popular sweet in Sri Lanka. Our food is ready and comes out in a large styrofoam container. It smells wonderful. It's a takeaway place but we want to try it while it is hot so we taste some. And it is delicious. This is one of the finds of the night along with the hoppers at X Dreams. It really is like vermicelli noodles but with so much flavour. There are school prawns and a eggplant paha on the side that is so good I want to buy a whole serve and there's also ikan bilis or chilli anchovies. The Malaysian influence is very prevalent here and all of the restaurants except for X Dreams incorporated some amount of it. 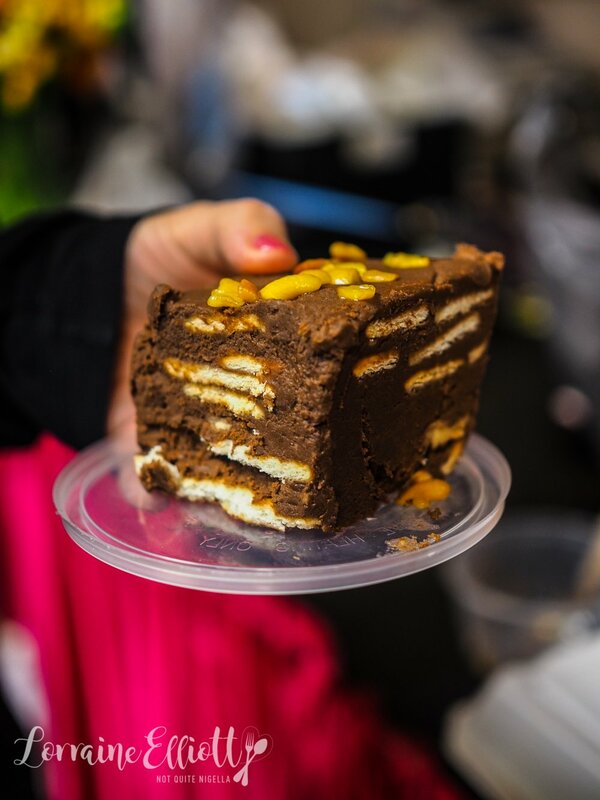 To finish we also buy a biscuit cake which is pretty much like the biscuit refrigerator cakes made with Marie biscuits, chocolate and butter. It's rich and sweet and utterly dangerous. "You take that, I don't need it in my house," says Laura. When we arrive at my house we divide up the food that Laura has kept in the chiller bag in her car boot. There's so much delicious food that I can't wait to wake up the next day and eat because leftovers are life! 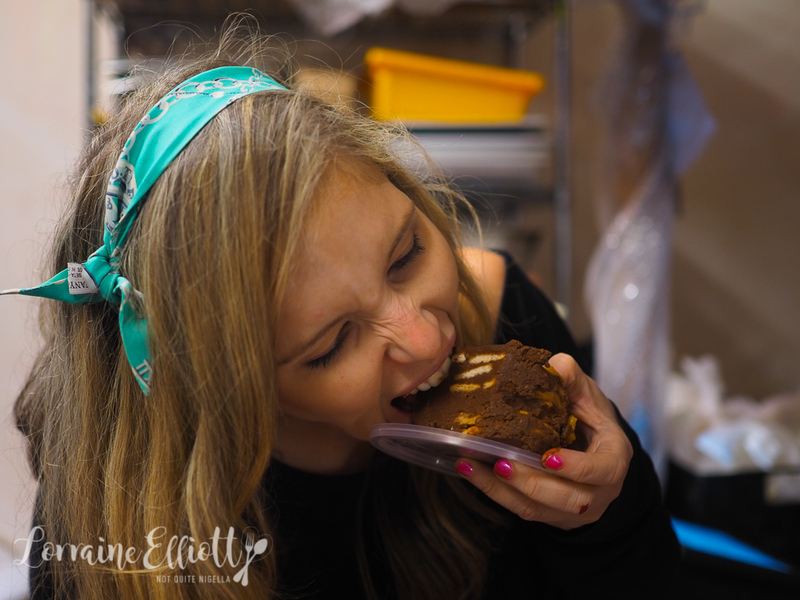 So tell me Dear Reader, do you like food adventures? 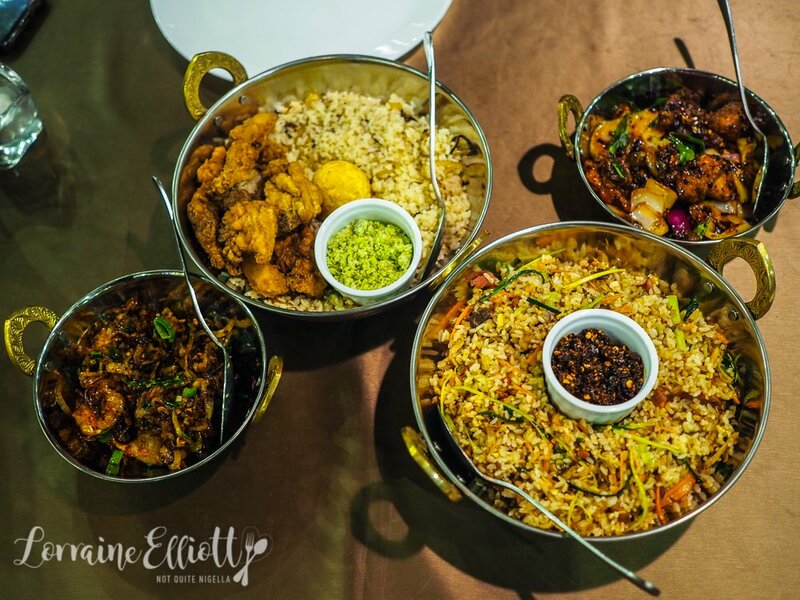 Have you eaten much Sri Lankan food? 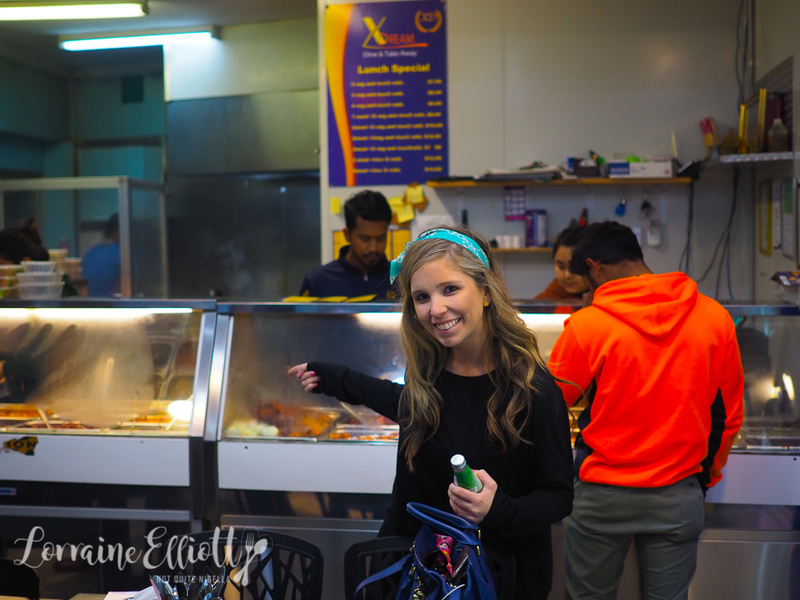 Have you ever been to Toongabbie or Pendle Hill to eat? 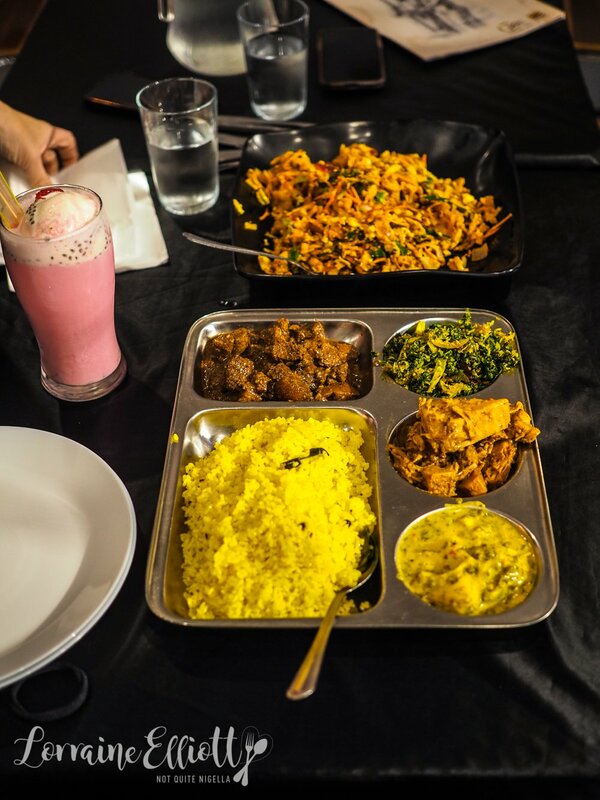 restaurantSri Lankan Street Food Favourite Dish Opens in Glebe! 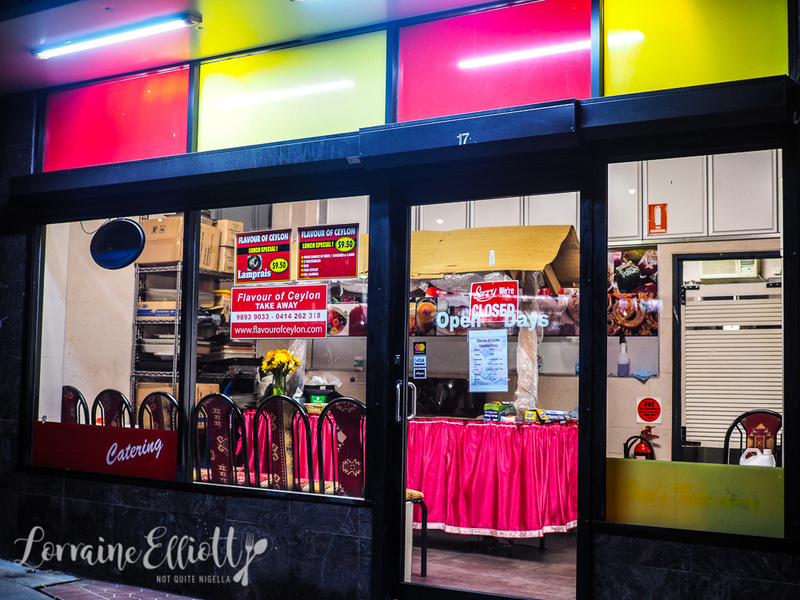 restaurant Sri Lankan Street Food Favourite Dish Opens in Glebe!